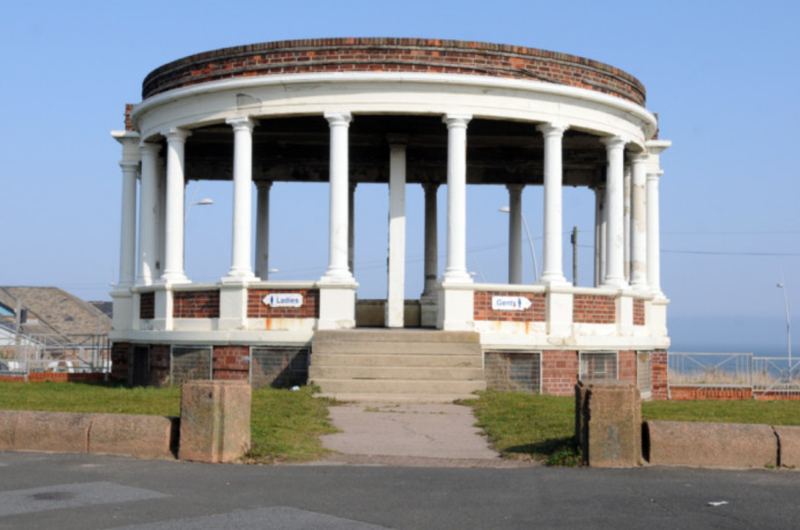 It was once the grandest public toilet in the world. Gandhi’s Temple, they called it, perhaps as a tribute to Gandhi’s trip to the UK in 1931. 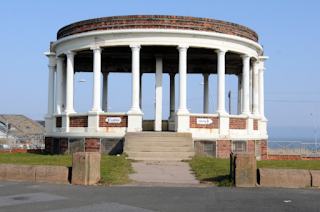 With carved pillars and ornate balistrades and overlooking the sea, the upper level was first a seaside shelter against the rain and later a bandstand. By the end of the last century it had had its chips. Which is appropriate, because now it’s the place for some of the best chips you’ll ever taste, and fish, and lobster and all manner of seafood. 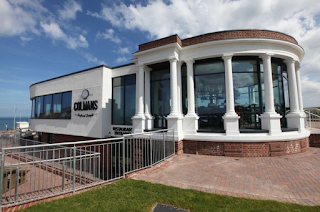 For Gandhi’s temple has become Colman’s. I had intended for you to be reading these words several weeks ago, but on the day I visited the place was heaving, with hordes more waiting for tables. We reluctantly had to abort our mission, consoling ourselves with portions of haddock from the takeaway downstairs which, incidentally, were not quite up to the normal Colmans standard. I put this down to them not having got to grips with their new fryers, and vowed to return. If you don’t want to wait, learn from my error and arrive early for lunch, or go at dinnertime, when you can book (though it shuts at half past eight). Second time around, just after it opened at 11:30, we had our pick of the tables. An hour later they were full again. That said, once seated it doesn't much matter which table you’re given. 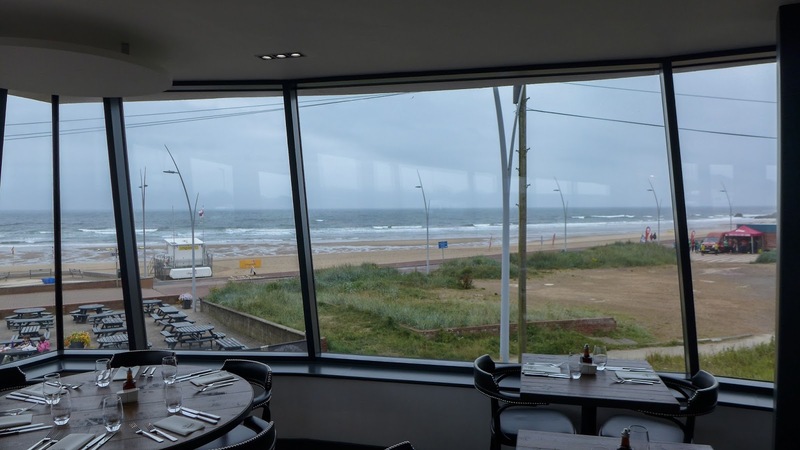 A good chunk of the reported £1m cost of the temple conversion must have been spent on acres of glass which, in conjunction with the raised hull-shaped extension, means that you’ll have a fabulous view of the North Sea from just about anywhere. And what a vista. The horizon was gun-metal grey and moody, but it was still heaps of fun watching the breakers crash on to the beach, as a junior surf club fought bravely against them. The menu is not radically dissimilar from the Colmans mothership on Ocean Road. 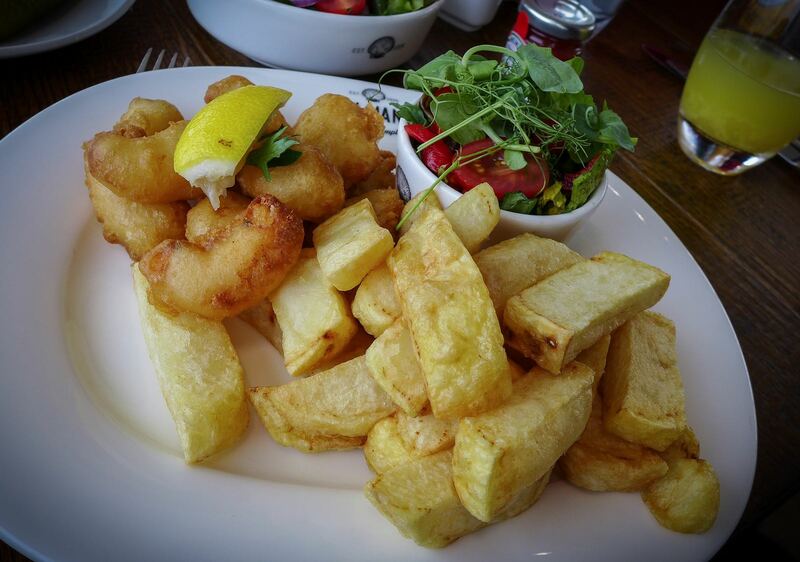 Fried fish and chips is at the heart of things, and seemed to be dominating the orders leaving the kitchen. 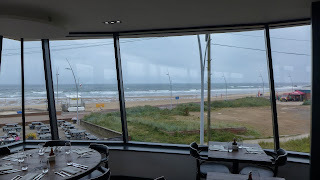 However, there’s a good deal besides, and along with a friend visiting from the North West, where the fish and chips are mostly rubbish - her words, not mine (she’s a Scouser) - we set about it. 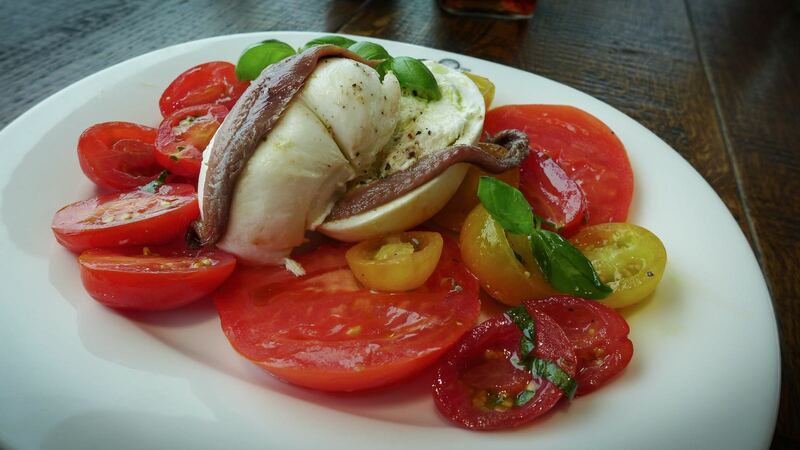 A specials board salad of burrata, heritage tomatoes and anchovies dressed in basil oil was summer incarnate. The tomatoes had unusually good flavour, helped by not being served fridge-cold and, the burrata, although not possessing quite as decadently creamy innards as some, was still pleasantly clean and fresh. 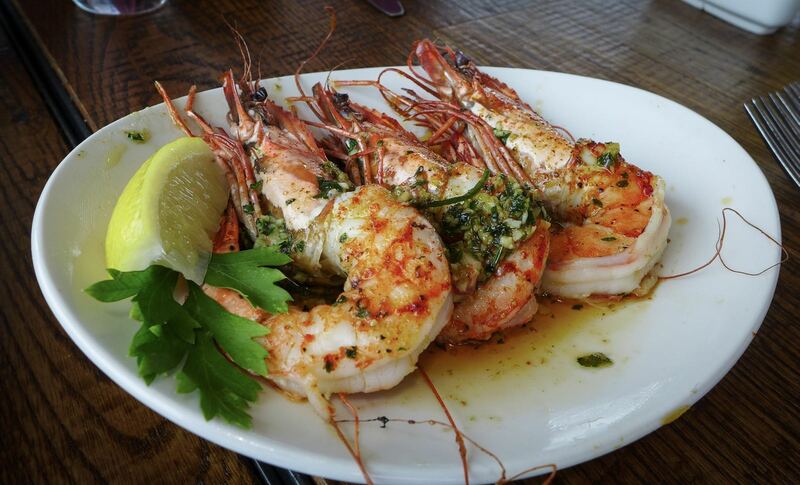 Whopping tiger prawns had been correctly butchered, which is to say the poop-chutes were removed but the heads were not. Deep fried calamari were toothsome but tender, the tentacles being a particular treat. Mrs Diner, apparently feeling the need for a little regression therapy, ordered scampi and chips. The langoustine tails were just under-fried, resulting in a slight clagginess to the batter closest to them. However, the accompanying chips were superb. 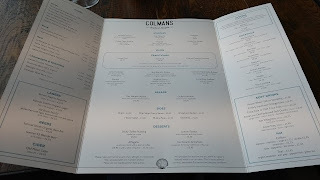 Colmans doesn’t go down the beef dripping route, which is controversial, but the lack of flavour in the frying medium - they use a neutral vegetable oil - does mean you can really taste the spud. 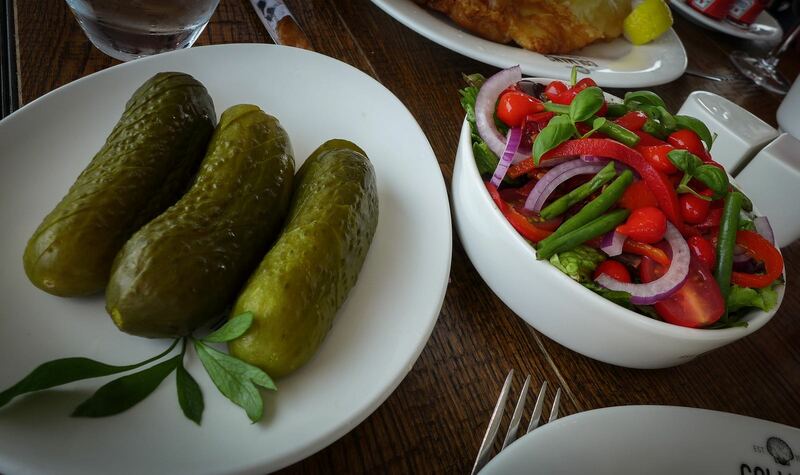 They looked a little pale on first glance, but there were crispy bits to enjoy. There’s just something tremendously satisfying about them, and they’re not so greasy as to leave you feeling like you need a hot shower immediately afterwards. 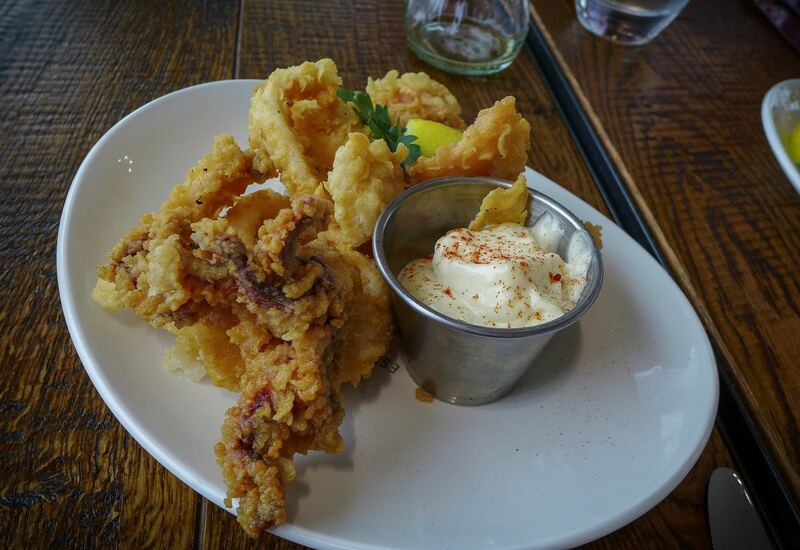 A fine example of the fryer’s art. 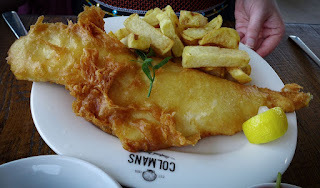 As was the haddock that our friend chose and which, I’m happy to say, was bang on form. A golden-crisp covering gave way to steaming white flesh that was moist, yielding and ozoney-fresh. In other words: Perfect. 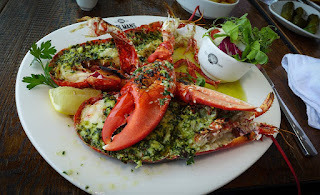 I pushed the boat out and tried their lobster, the harvesting of which had required an actual boat to be pushed out, from just down the coast in Sunderland. The beast could have done with more draining after cooking - piercing the claws released a fair gush of water which rendered the garlic butter it sat in pointless - but the clawmeat in particular was sensational. 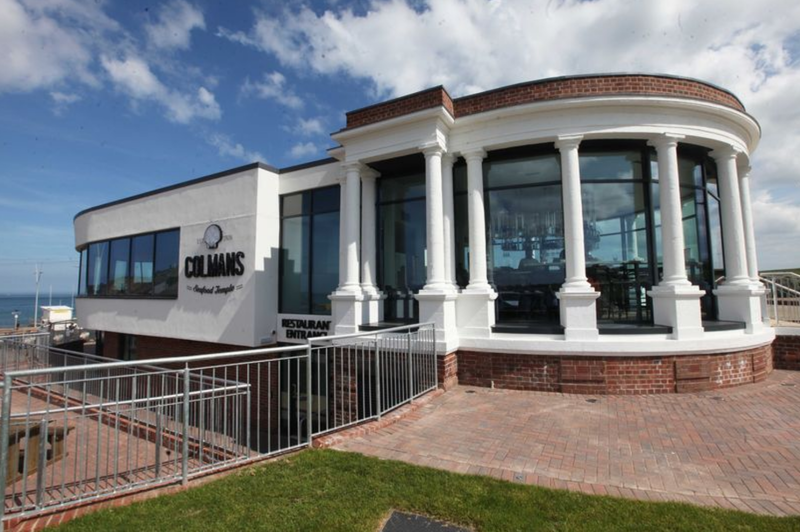 Summer is the time to eat lobster, and at £25 for a whole one, including chips and salad, Colmans’ is reasonably priced luxury. 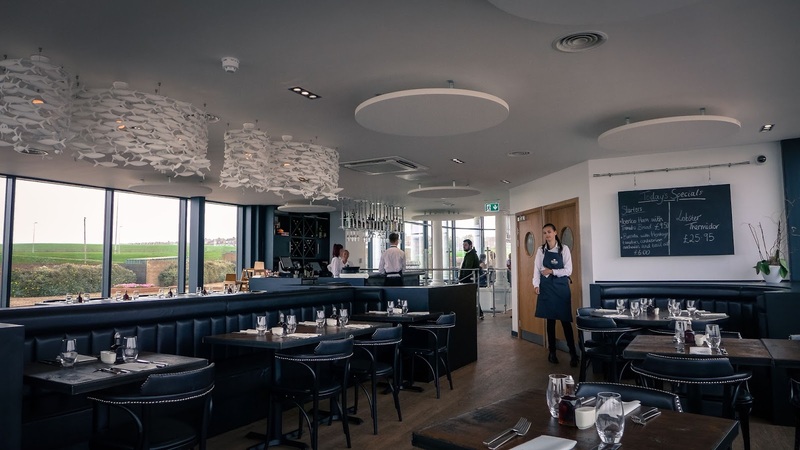 Talking of luxury, the drinks list has a fine range of cocktails, but there is nothing to beat sparkling wine with fried fish and there are few better anywhere than Kent’s Gusbourne. At £8.50 for a large glass of their cherry and brioche-laced brut, Colmans has a serious wine at just a touch over cost price. 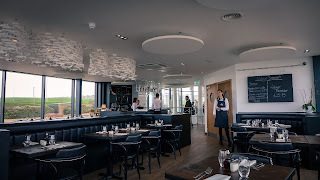 Service was full of warmth, charm and was pretty clued up, aside from one moment of comedy when I asked where the lobster had come from - the waiter pointed out the window and said “the sea”. I deserved that. 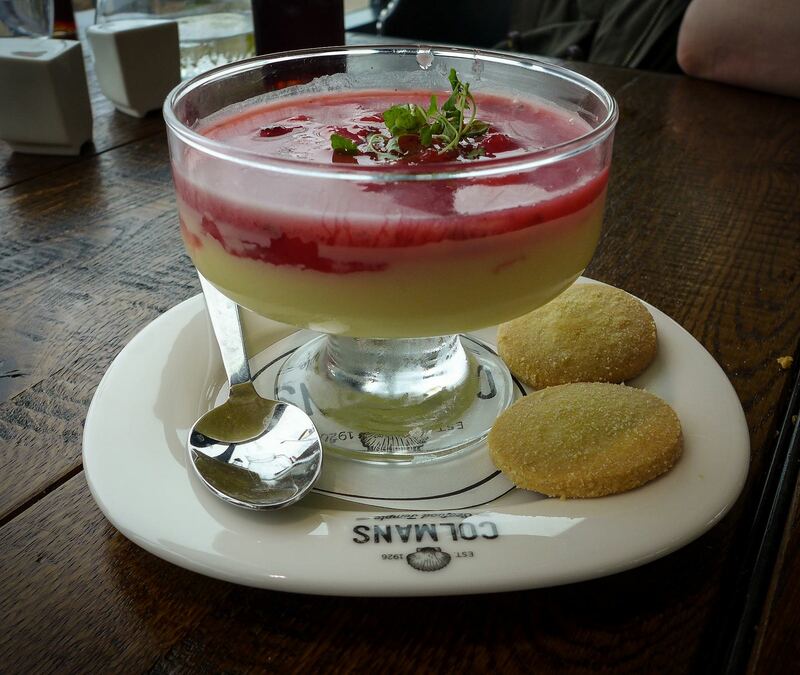 Later, completely stuffed, we managed one lemon posset and a coffee between us. 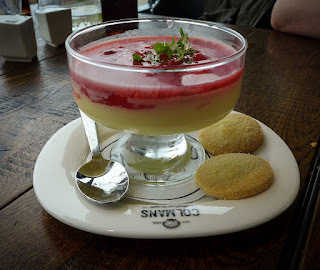 The posset was lovely, barely set and full of zip, topped with a loose compote of strawberries. The coffee was Nespresso. I feel the same way about this coffee as I do about the actor who flogs it: personally I don’t see the attraction. My one major gripe is that for a place called a seafood temple, there are some glaring omissions on the menu. Where is the turbot, plaice or sole? Why no crab or cockles? What became of the gurnard or the mullet? Most damningly, given how plentiful it is in summer, why is there no mackerel? Perhaps the menu will move away from the more obvious species in due course. Perhaps it won’t. Either way, with good fish being served in front of a wrap-around panorama of the depths from whence it came, I’m sure this temple will pack in new converts and true believers alike.